You are here: Home / Relationship Trust / How Long Does it Take to Build Trust After It’s Been Broken? 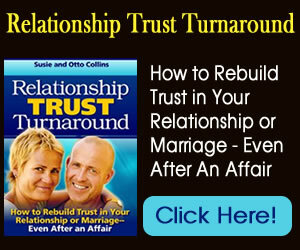 Have you ever wondered…How long does it take to learn how to trust again?If trust has been broken, this question is certainly one of the biggest–but should it be?Whether you’re interested in our best strategies for trust-building in a relationship or you’re in a situation where trust has been violated and you want some help rebuilding it in your relationship, be sure to check out “Relationship Trust Turnaround” for a specific, proven process to guide you. information on length of time to recover? I see there are several ideas and ways to overcome trust. But I really want to move forward and would like to know how long this process takes or if it’s ever something one can do again once trust has been broken. Whenever trust has been violated and the two of you want to repair your relationship, that’s certainly the question that’s on your minds, whether you voice it or not. The short and simple answer is there is no average length of time since every situation and every person are different. 1. The severity of the event that caused the mistrust. Being caught cheating with someone else usually causes a deeper level of mistrust than forgetting an anniversary. 2. How often the event that caused mistrust happened. If a person is repeatedly unfaithful (or frequently lies) and wants “one more chance,” chances are building trust will be a very long and difficult process–if it can be built again at all. 3. How open and committed both you and your partner are to healing the issues that caused trust to be broken and your commitment to rebuilding trust. The key in building trust is not how LONG but rather WHAT you do with that time. It’s how trustable the person who violated the trust can become–as well as how open the person who was hurt is to trusting again. You have to be willing to become trustable if you’re the one who broke trust. If you are the person who was betrayed or lied to, you have to know what it would take for you to trust that person again–the more specific the better. And this takes some looking inward to discover that for yourself in your particular situation. That “fine line” is not making guilt and blame the major dynamic between the two of you while still honoring both of your needs–and seeing movement toward trust. If the “guilty” party is unwillingly kept on such a tight leash and “made to pay” in every moment, there’s probably not much hope for the relationship. This person has to want to prove in every moment how he or she has changed and is now trustable–and do it in specific ways that the other person has voiced. Guilt, blame and promises won’t create a relationship filled with trust, closeness and connection. True desire, commitment and follow-through will. It’s not the length of time that it takes to rebuild trust but it’s rather what happens–how both people deal with the situation. If you’re worrying about and are focused on how long it’s going to take to build trust back, change your focus to what you are each going to do to grow it. As we corresponded with him to ask for his permission to use his question here, he told us some of his story–which may not be unlike some of you who are reading this right now. He told us that he was the one who had been betrayed–over and over. He had had a string of girlfriends who either turned out to be married or stole money from him. While we can’t say for sure why this man attracts these kinds of partners–we can say that it may be time for him to turn his attention inward. The person he has to learn to trust is himself. He has to learn to allow himself to see and pay attention to the red flags that are usually always there flying that many of us choose to ignore in the excitement of a new romance. He can ask himself what he’s learned from these past romances that ended badly for him. What kind of traits did these women have that could have clued him into their true nature? Ignorance isn’t bliss where trust and relationships are concerned either. Whether you’re learning to trust someone new or trying to learn how to trust someone again when trust has been betrayed. Become the observer and pay attention to how the other person’s words and actions feel inside you. Feel if they ring true to you. If they don’t, ask a question that will reveal their deeper intention. A question from our “Magic Relationship Words” program like “Tell me more about that” can open you both up to deeper communication and trust. It may also help you bypass the pain of betrayal–if you are conscious and paying attention. Learning how to trust after it’s been broken is not really a time issue. It’s becoming conscious in your life– knowing what you want and then opening to it. If I had issues in trusting from my past and I was not trusting my boyfriend 100% even though he did nothing to warrant my mistrust (he had proven himself trustworthy after 5 months together), – because a certain close friendship he had with an ex-girlfriend triggered questions for almost a month about their friendship because it reminded me of a past experience I had with a past boyfriend who left me for his ex-girlfriend best friend…my questioning of my boyfriend’s friendship with his ex, pushed him away unknowingly…when I realized the hurt I caused and how it was my fault not his, I took full responsibility for my issue: aplogized to him, confessed it was me and not him, and started seeking counseling to modify my behavior and thinking overnight, journaling, praying, etc…and I told him I could trust him because he is trustworthy and to please give me a chance to prove that to him. He still is not sure he should rebuild the relationship with me or move on. I know i can trust him and it was my issue. I am really good at sustaining change, if I have an issue I am causing in my relationships. Is it possible for someone to forgive and give another chance for false mistrust, once the person who has caused the false mistrust has promised to change and make it better? Or is a relationship ruined once you make a mistake like mine, in bringing the sins of someone else into your current relationship, and falsely mistrusting someone? I am so sorry…I realize what I have done, and hope it is not too late. Melanie: To answer your question, YES, it is possible for someone to forgive a partner for false accusations or any mistake. Form what you write, it sounds like you are doing many things that will help make this possible. You have taken ownership for holding a painful betrayal from your past against your current partner. You are taking steps to learn new habits and make changes. Now, it’s up to your partner to decide if he is willing to move past this and rebuild your relationship. In some ways, he’s going to have to rebuild trust in you just like you’ve had to re-learn how to trust a partner because of past relationship experiences. He is going to need to be present with you and not hold your mistakes (in making false accusations) against you. This can be a challenge but it is definitely possible for you both to come through this together and end up with a healthy and happy relationship. The key is for you to be patient and give your partner the time he needs to decide if he can let go of the past AND keep working on yourself and showing him with your actions that you truly have changed. From the beginning of 2007 to the end of 2008 my husband of 11 years developed a drug addiction that had him stealing money from my purse and spending his entire paycheck in one day. When he was shot in Dec 2008, he vowed he was done. In the past two months he has begun hiding his location from me. He travels the country for work and knows that I use a tracking app to keep tabs on him. It’s not for any reason other than I’m curious where he stays on the road and how long it’ll take for him to get home so that I can tell the kids. He know this. But the last few times that he was headed home, he turned his phone off for a few hours. Something doesn’t feel right. How should I approach him about this without being threatening. He hasn’t given me any reason to worry about relapse before, up until the last two months. I don’t want him to slip and not reach out for help but I know addiction can shut a person off from family. Thank you for posting your question. You are in a tricky position and you are smart to think about your approach before going to him to ask questions. When rebuilding trust after it’s been broken there is a process and it involves a leap of faith. The leap of faith is one you’ve been deciding to take– you can’t know for sure if he’ll repeat his past behaviors but you also can’t know that he will slip up. The challenge here is for you to be aware of the past, but not to let it dictate your expectations. It is understandable that you are concerned by a change in his behavior– turning his phone off when he hasn’t been doing that before. We recommend that you think about his recent observable behaviors. Have there been other red flags that have made you suspicious? Try to keep an open mind and form a broader view of your husband’s behaviors. When you do talk with him, stick to talking about what you’ve observed and noticed and what’s been happening recently. You could ask him a simple question (with an even tone of voice) like, “I noticed that you’ve been turning off your phone and I’m wondering why.” Ask him how he feels about you using a “tracking app to keep tabs on him.” And be honest with yourself and with him too if you’re not solely do this from a place of curiosity. Talk with him and come up with some agreements that feel good to you both for communicating about where he is and when he’ll be home. My husband and I have been together for 7 years. Married for 5. He cheated on me multiple times and I had finally got to the point I left. I moved with our 3 year old daughter to be closer to family. We had been separated for a year when he voiced to me and begged for a second Chance. Which ultimately was what I wanted as well. The first few months were great. Perfect almost. Then I was finding inconsistencies with some of his stories or even just a month ago had someone message me telling me they had been with him. Things have changed these past couple months and it feels like it did before. He asks if I Dont trust him why am I with him and I want to trust him, I love him truly. I don’t know how to get through to him on why its hard for me to trust him when it seems the blame is always put on me or a huge argument where nothing gets resolved. Any advice? Don’t take the blame for something you didn’t do. This is a common way that cheaters and liars try to control others but don’t let that be you. A person can absolutely change but if you’re seeing signs that he’s cheating again, don’t turn a blind eye to what you know. You don’t need to argue about what you already know is true. Hope this helps and if you’d like to talk with me, I’ll give you some time free of charge. Go to https://www.relationshipgold.com/contact-us.htm and let me know some days/times you’re available and your time zone and we’ll get it scheduled.